To achieve success in fitness marketing, you must stay on top of trends taking hold of the marketplace. Not only does awareness of these trends contribute to your own strategic planning, but it allows you to recognize opportunities for your competitors. The following is a look at key fitness trends to watch in 2017, which can help you optimize your fitness marketing results. In recent years, there was a huge emphasis on being thin. It is expected that 2017 will bring renewed interest in adding lean muscle mass to improve power and performance. This trend presents an opportunity for companies to engage in fitness marketing sectors which prioritize these benefits. If you sell nutritional programs or products aimed at promoting lean muscle, this trend offers leverage. Gyms and trainers can also put this evolution into fitness marketing practice by integrating images of people with lean, toned muscle. A body image shift has contributed to more interest in lean, strong and toned frames. As often happens, the all-natural, organic, healthy nutritional plans of recent years have gone to the extreme. Some people have developed unsustainable lifestyles that eliminate any forms of dessert or food treats. In 2017, expect a return to more practical programs that allow for an otherwise healthy eater to splurge on a treat once in a while. This trend may not present a radical shift in some sectors, but promoters of low-calorie treats or other less-unhealthy brands may thrive. Additionally, nutritionists that offer well-balanced, practical programs that allow for these occasional treats may win more clients through their fitness marketing strategies. Boxing gyms, along with gear makers and resellers, can win in 2017 with the new boxing cardio workout trend. 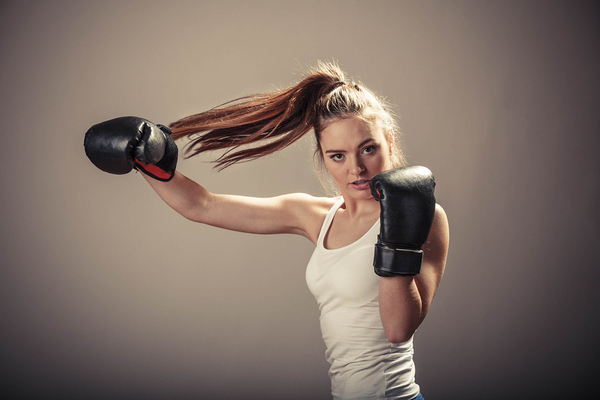 Thanks in part to the influx in recent years of female boxers, images of women wearing boxing gear and punching a bag have become common in popular culture. Now, women who have no interest in getting into a ring are enticed by a fun, diverse cardio workout that gets them off the treadmill. This trend aligns with the overall desire of many women to achieve strength and independence. Projecting this opportunity in your fitness marketing could work well for brands targeting a female audience. Full-service gyms and rec centers have introduced boxing equipment and workout options for members. The medical industry and many Americans also want to push back against obesity and heart conditions that have become health epidemics. Combined with advanced technology in tracking devices, such as fitness bands, people will have more interest in monitoring heart rate variability. Tracking device manufacturers that emphasize heart rate features, along with services that connect with these tools, will have ample opportunities to attract health-motivated clients. The top fitness trends in 2017 include a mix of new perspectives and renewed interests. 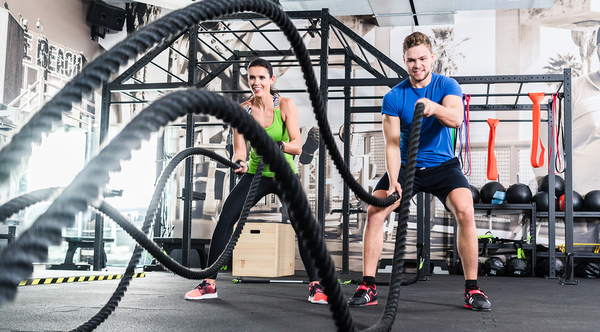 To optimize fitness marketing, identify the trends that fit most with your brands and look for opportunities to leverage them. Contact our Director of New Business Development, Amanda Sparks, to discuss your fitness marketing plans with Response Mine Interactive!